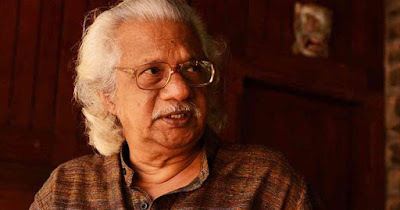 Renowned filmmaker Adoor Gopalakrishnan will receive the J C Daniel Award 2016 for his overall contribution to Malayalam cinema. Adoor was selected for the award by the jury members which included director KG George, Kamal, FAzil and TK Rajeev Kumar. The award includes a cash prize of Rs. 1 lakh, a citation and a plaque. Adoor Gopalakrishnan has won Padmashri in 1984 and Padma Vibhushan in 2006. The award will be presented at the state film awards distribution ceremony, to be held in Thalaserry.